Join the groups and organizations that make up KWPeace for a midday meal and a conversation about Peace, Nonviolence, Social Justice and Climate Change. The guest speaker is Tamara Lorincz, who is completing her PhD studies in Global Governance at the Balsillie School of International Affairs. 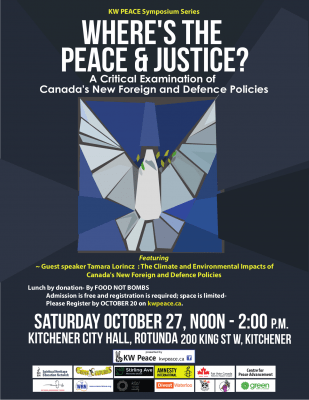 She will talk about Canada’s new defence and foreign policies and the environmental and social impacts such as climate, military spending, etc. The food for this event is provided by Kitchener Food Not Bombs, which picks up donated food from grocery stores, cooks fresh vegan meals, and serves these meals to the community for free! All groups and organizations working towards Peace, Nonviolence, Social Justice or Climate Change are invited to have an information table around the rotunda. Please register to reserve your place. There is no charge for this event, but donations are gratefully accepted to offset the costs. 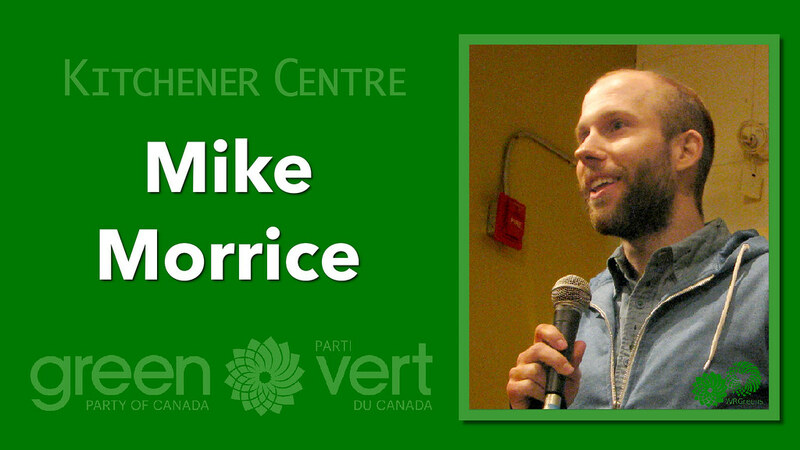 The Green Party is committed to being honest about the problems we face and always acting with integrity. We work across party lines and with advocacy groups to achieve common goals. 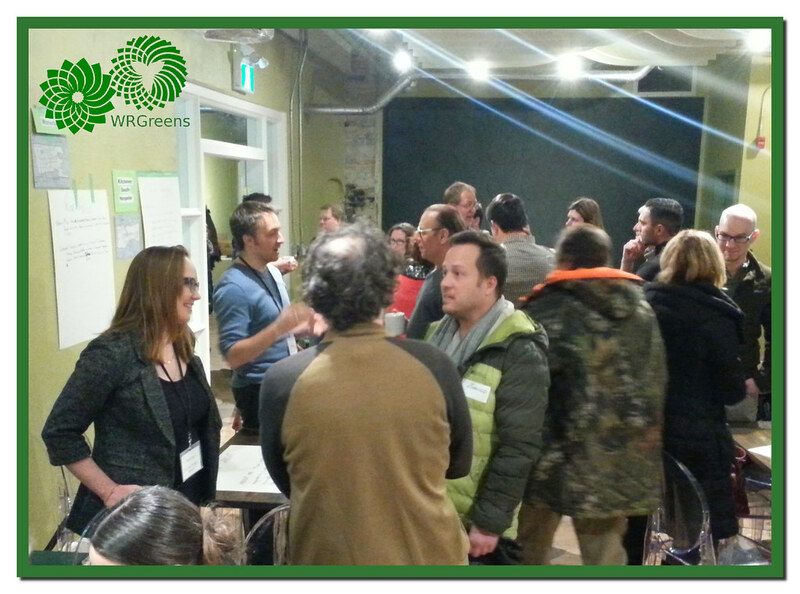 In this spirit, Waterloo Region Greens fully supports the goals of the #DoneWaiting campaign. We commend the Canadian Labour Congress for pushing for an end to wage discrimination, sexual harassment and violence, and the chronic underfunding of child care. Ontario Green Party leader Mike Schreiner has called for a reform of our justice system to better serve survivors of sexual violence. 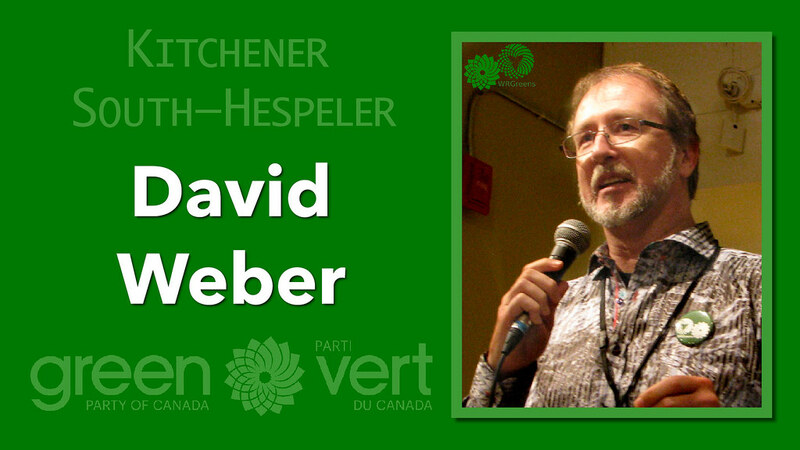 “Our party is committed to amplifying the voices of women and pressing for progress on these critical issues in the upcoming provincial election,” said Schreiner. 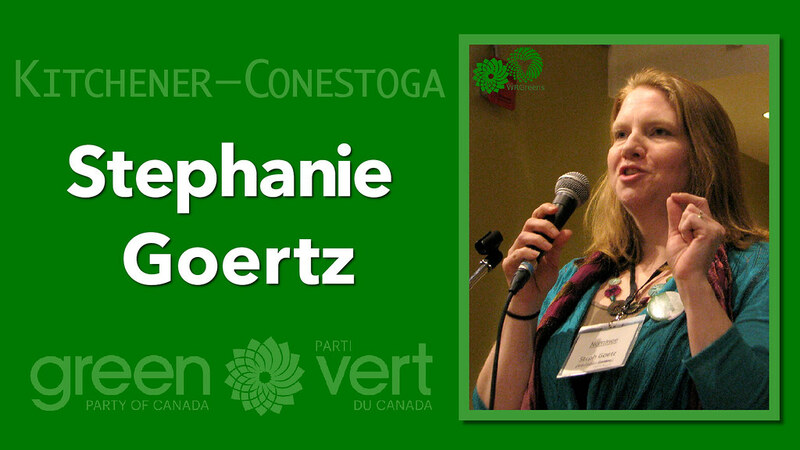 The Ontario Green Party has committed to running a full and gender-balanced slate of candidates in the 2018 election. Greens are also calling for additional funding for reproductive health and women’s shelters. Our plan for a provincial child care strategy in Ontario builds on the 2015 federal Green platform for high-quality affordable child care for all Canadians. Greens understand that we need strong legislation to shrink the inexcusable wage gap, and to deliver a living wage for all workers. At the same time, we will help small businesses shoulder these costs by doubling the Employer Health Tax exemption limit. Greens support a basic income guarantee that will provide stability for workers who are moving between jobs or starting a family. These policies are not only a response to current events; they have been part of our platform in election after election. Greens have always been committed to doing politics differently, and we’re happy to re-affirm that we’re done waiting, too. 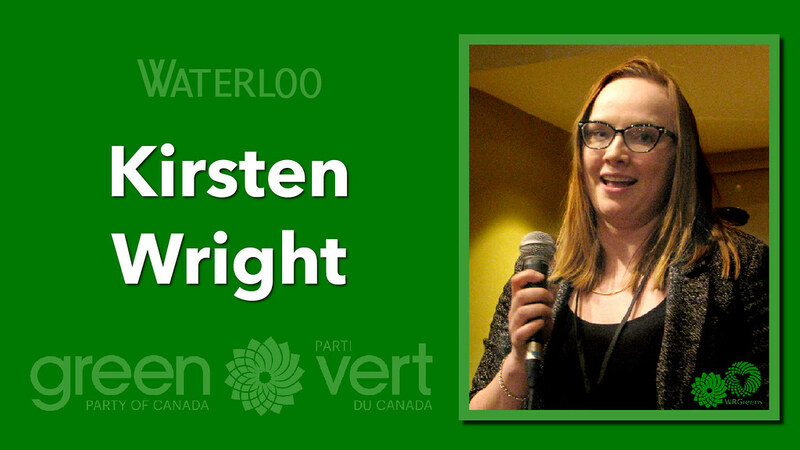 Waterloo Region Greens represents the provincial and federal Green Party riding associations for Waterloo, Kitchener Centre, Kitchener South-Hespeler, Kitchener-Conestoga, and Cambridge. Cannabis is believed to be one of the oldest domesticated crops. Throughout history, humans have grown different varieties of cannabis for industrial and medical uses. Tall, sturdy plants were grown by early civilizations to make a variety of foods, oils and textiles, such as rope and fabrics. These plants were bred with other plants with the same characteristics, leading to the type of cannabis we now know as hemp. Other plants were recognized for being psychoactive and were bred selectively for medical and religious purposes. This led to unique varieties of cannabis that we now know as marijuana. — Indica vs. Sativa: What’s The Difference? The active ingredient in many 19th century patent medicines was cannabis. There’s even an urban legend that Queen Victoria was a user. The war on drugs put an end to medicinal cannabis in Canada.. But pain management has always been critically important for the quality of life of many who have suffered injury or chronic illness. what works for some patients doesn’t work for others. addiction and other side effects can reduce a patient’s quality of life. Even as the emerging 20th Century pharmaceutical industry exploded into a rainbow of pain killers, anti-inflammatories, anti-depressants, analgesics and the like, not every patient or disease is adequately served by prescription medicines. And so, illegal or not, in the latter part of the 20th Century, growing numbers of Canadians sought pain relief from cannabis. 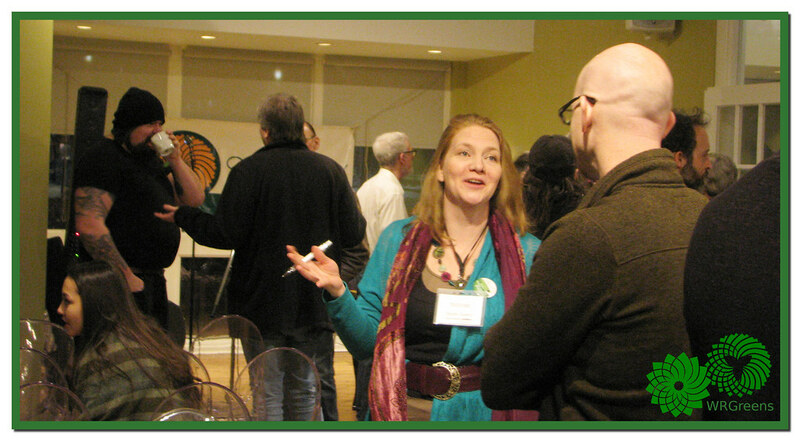 “Compassion clubs came to Canada in the late 1990s, based on similar medicinal marijuana clubs in the United States. The goal of compassion clubs is to provide safe access to medicinal, or medical, marijuana when there is no government-sanctioned program, or when such a program is not effectively meeting the need. “Compassion clubs exist to provide medical marijuana to people in need, but not all their members are licensed by Health Canada. While the clubs usually have their own strict guidelines for membership and providing cannabis—for chronic conditions, most clubs require a doctor’s note confirming a patient’s condition; for some conditions, a doctor’s prescription may be required—this does not make unlicensed members’ use legal. So, fear of prosecution is still a concern. After nearly a century of total Cannabis prohibition, on December 10th, 1997, Ontario Judge Patrick Sheppard ruled that the law prohibiting 42 year old Terry Parker’s use of marijuana to treat his epilepsy was unconstitutional. The Ontario Court of Appeal upheld the ruling and gave the federal government 12 months to make it right..
One day before the expiration of the court ordered time limit (July 30, 2001) the government implemented the Marihuana Medical Access Regulations (MMAR) (PDF). The MMAR created a framework that allowed (only) patients suffering from designated severe and extreme conditions to go through a lengthy and complicated application process that might result in a government license allowing them to possess and use marijuana legally. Many patients found the quality of the Health Canada’s cannabis to be inferior to cannabis available through Compassion Clubs or even the black market. The nonprofit BC Compassion Club (BCCCS) was founded in 1997, and has built a good reputation using knowledge and expertise to help patients find the best strain to address their health needs. Although these clubs or dispensaries operate outside the law, they have provided medical marijuana in the form chosen by patients. Medical evidence demonstrates the connection between smoking and cancer, so it’s not surprising patients might prefer not to smoke their medicine. When police found large amounts of cannabis-infused olive oil and cookies in the apartment of Owen Smith, former head baker for the Cannabis Buyers Club of Canada, Smith was charged with unlawful possession of marijuana and possession for the purpose of trafficking under the Marihuana Medical Access Regulations. At the time, Canadian Law only allowed patients to consume Medical Marijuana by smoking it in dried form in spite of numerous studies about the health risks associated with smoking. Smith was acquitted in 2013 because Mr. Justice Johnston found the Regulations that denied medical marijuana users any way to consume their medicine besides smoking to be arbitrary, unjustified and a breach of section 7 of the Charter. The Province of BC appealed, and lost, and the Court of Appeal for BC ordered the federal Government to correct the law within a year. The Harper Government chose instead to appeal Mr Smith’s successful constitutional challenge all the way to the Supreme Court of Canada in January 2015. In March the SCC upheld the ruling. In 2014 the Harper Government changed the regulations, replacing the MMAR with Marihuana for Medical Purposes Regulations (MMPR) on April 1st, 2014. The new regulations prohibited patients from growing their own, instead, they were required to purchase their supply of medicine from licensed commercial growers. The 2015 federal election gave the Justin Trudeau Liberals a “majority” government with a mandate to legalize cannabis in Canada. The new government placed the legalization file in the hands of rookie MP Bill Blair, better known as Toronto’s top cop during the infamous Toronto G20. Understandably cannabis activists have not been reassured by this choice. While there has been plenty of talk about the government commitment to legalization, more than 2 years into the government’s term, Canadians continue to be arrested for cannabis possession at alarming rates. Since the Supreme Court of Canada upheld the R v Smith decision on edibles in 2015, it wasn’t surprising to see extensive consideration of cannabis edibles in the Government’s own Final Report of the Task Force on Cannabis Legalization and Regulation. The surprise was that the first draft of the legislation that will eventually legalize cannabis for all Canadians originally excluded edibles from the 2018 legalization plans. There was enough public pushback to convince the Standing Committee on Health to amend the draft legislation in October, 2017. BILL C-45, the Cannabis Act or, An Act respecting cannabis and to amend the Controlled Drugs and Substances Act, the Criminal Code and other Acts, now intends to include edibles no later than 12 months after the law is enacted. The frivolous 100-cm height limit on the four plants Canadians will be allowed to grow at home was also removed. Given that Cannabis was criminalized here without anything resembling scientific evidence, debate, or even any need for such a policy in 1923, Canada has undertaken little or no legitimate scientific study of the prohibited plant. As a result, the scarcity of official empirical evidence frees opponents of legalization to make unfounded and often ridiculous claims in support of their own preconceived notions. 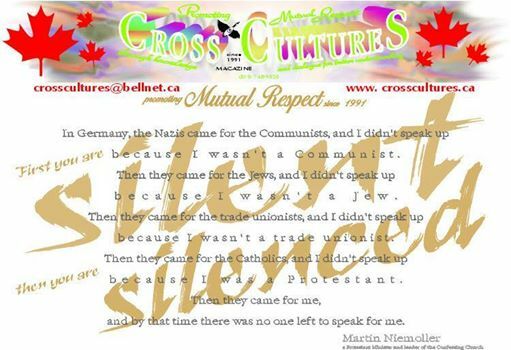 A a racist brochure created by Trellis Mental Health and Developmental Services somehow made its way to the information desk at the Canadian Mental Health Association. Frightening tales without any basis in fact repeated over and over during the decades of Cannabis Prohibition are blindly accepted by some. Sometimes even counsellors tell “friend-of-a-friend” stories— urban legends— about people dying from eating pot brownies. There have even been cases like the one where a professional pathologist imagined someone died from smoking a joint. The reality is that there’s no evidence cannabis use has ever killed anyone. On the contrary, the evidence we do have indicates such a thing is not possible. “7. Drugs used in medicine are routinely given what is called an LD-50. The LD-50 rating indicates at what dosage fifty percent of test animals receiving a drug will die as a result of drug induced toxicity. A number of researchers have attempted to determine marijuana’s LD-50 rating in test animals, without success. Simply stated, researchers have been unable to give animals enough marijuana to induce death. “8. At present it is estimated that marijuana’s LD-50 is around 1:20,000 or 1:40,000. In layman terms this means that in order to induce death a marijuana smoker would have to consume 20,000 to 40,000 times as much marijuana as is contained in one marijuana cigarette. NIDA-supplied marijuana cigarettes weigh approximately .9 grams. A smoker would theoretically have to consume nearly 1,500 pounds of marijuana within about fifteen minutes to induce a lethal response. Former sources of information once considered to be an authority in substance use are being questioned with good reason: “Reefer Madness” has taken on new forms to serve corporate special interests. As legalization approaches, the need for credible education is desperate. And still government sends mixed messages. In spite of promises of legalization by July 2018, heavy handed law enforcement crack downs on grey market dispensaries are justified by the government because Cannabis is still illegal. But the “offense of compassion” committed by medical marijuana dispensaries’ clearly has public support. Justices tasked with sentencing the owners of these facilities are giving absolute discharges. Producers Licensed under the Access to Cannabis for Medical Purposes Regulations have been recalling product mailed to patients. It’s the users who are suffering most. Unsurprisingly people seeking access through medical marijuana dispensaries are being pushed back into the black market. What is the point of that? Grey market dispensaries, like the Toronto Compassion Club, have been managing physician prescribed access to medical marijuana since 1997. The majority of public safety concerns stem from a lack of understanding of the values which created these grey markets in the first place. Lisa Campbell, chairwoman of Women Grow Toronto, told VICE she’s hoping there will be a constructive conversation about regulating recreational versus medical dispensaries instead of having knee-jerk policies put in place. Norml Canada declares that the criminal prohibition of the cultivation and use of cannabis is no longer the most suitable measure for protecting public health and welfare and preventing the diversion of drugs into illicit traffic. The City of Kitchener has not been very responsive to those seeking permits to offer safe access to cannabis, or lounges for consumption. Dispensaries that had been operating within the region were threatened with fines. Some closed their doors, while others continued to supply patients until they were raided. About five or six months ago, Cory Orr and Tony Millar, founders of Alternative Cannabis Consumption Awareness (ACCA), sparked some interest at 44 Gaukel. The two were referred to the Waterloo Region Small Business Center. They connected with small business advisor Rob Clement, who advocated on their behalf. ACCA has been the first cannabis related business approved for a WRSBC grant. ACCA believes that craft cannabis, like craft beer, has a place in the market; their primary goal is to educate the public, which includes the acknowledgement there is good and bad everywhere. Court decisions continue to uphold patient rights, while the the Minister of Health claims the government needs more time to work on designing an appropriate regulatory system to develop and implement regulations. ACCA acknowledges information provided by Health Canada is updated regularly, and cite current publications in order to maintain credibility. Professor David Hammond at the University of Waterloo, has been a great resource for ACCA, with his graduate and student supervision. Hammond, CIHR-PHAC Chair in Applied Public Health, focuses his research on chronic disease prevention and global health in the areas of tobacco control policy, health diets and obesity prevention, as well as harm reduction and drug policy. Professor Hammond is studying the effects of vaporizing cannabis, to better support students with related research interests in cannabis and harm reduction related research interests. ACCA began hosting information sessions at UC Vape September 15th 2017. The first information night was inspired by Lisa Campbell’s presentation to the Toronto Business Licensing Committee and R v Smith. ACCA hosted guest speakers from Magical Butter and the Green Market, as well as Charlene Freedom, who discussed the topical application of cannabis products. ACCA’S third installment of their ongoing mission to educate the public, drew some media attention. Jodie Emery went into detail about her tireless legalization efforts within political circles, while keeping Cannabis Culture Magazine alive following husband Marc Emery’s extradition. Abi Roach reminisced about when she started renting out a vaporizer back in 2003, to people looking for a place to consume their cannabis. The Hotbox Cafe in Toronto is celebrating it’s 14th year in operation. In the evenings “Hot Box Afterdark” hosts music and special events after 7pm. The Afterdark promotes itself as a great alternative to the bar scene. Abi spoke about how people need to consider what they’re advocating against, and that people shouldn’t have to get their pot from bikers. Canna Relief, a product that will soon to be on shelves at your local Shoppers Drug Mart, was available for sample. 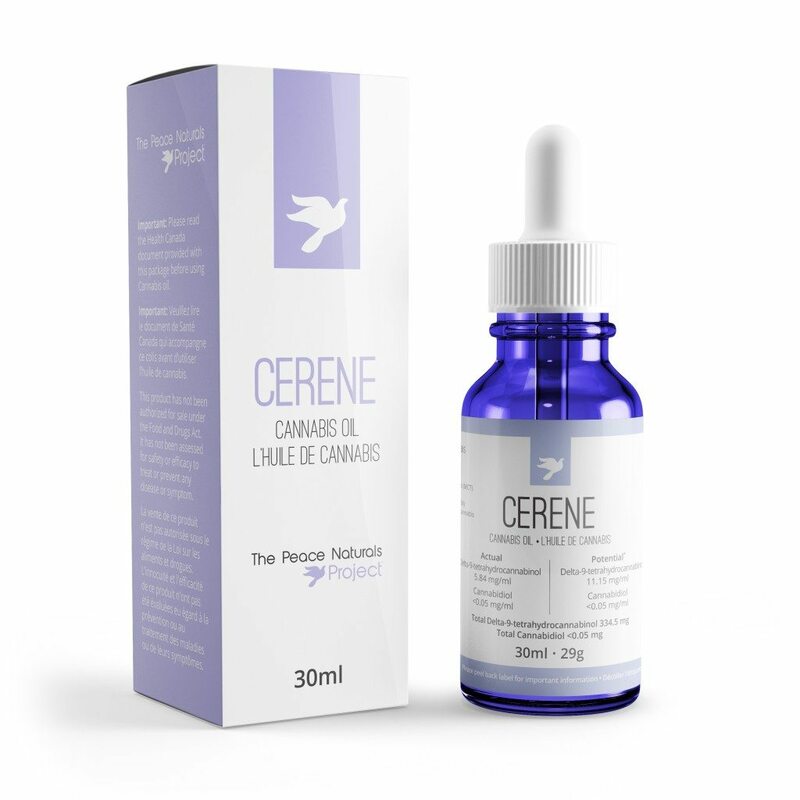 The CBD drink is a specially formulated supplement containing a synergistic blend of vitamins, herbs, amino acids, and 20mg of pure CO2 extracted CBD derived from hemp stalk and seed. CannaSafety are confident that CannaRelief will help you control and manage THC anxiety so that you can safely and therapeutically benefit from your personal medicine. Patients First “Action Plan for Heath Care” [download PDF] aims to bridge the gap for patients to Access, Connect, Inform, Protect. New penalties would range from a simple police citation to 14 years behind bars, along with a “zero-tolerance approach” to drug-impaired driving, and a “robust” public awareness campaign. “ Because there were no advocates for the treatment of drug users prior to the late 1950s, it was easy for enforcement-related interests to implement harsh anti-drug legislation. This also meant that although drug users were often thought of as “sick,” imprisonment was a priority over treatment (Blackwell 1988:163). Canadians deserve evidence based harm reduction strategies. Alternative Cannabis Consumption Awareness is working with front runners in the early stages of a legal market, to provide the most up to date information, and in the near future, a place where the culture can thrive. Safe consumption sites will help integrate the shift in consciousness, as stigma is replaced by awareness. French pioneer apothecary Louis Hébert was the first European farmer in Canada. Cannabis Sativa, a plant known as “hemp,” was one of his crops. The sails of sailing ships, canvas, rope, and linen were all manufactured from the rugged fibres of the hemp plant. As was the earliest known paper. Hemp dominated the paper trade until it was replaced by wood fibre in the 1800s. There were no illegal drugs in Canada prior to the 20th Century. Deputy Minister of Labour William Lyon MacKenzie King changed all that in 1908. “On Sept. 7, 1907, the Asiatic Exclusion League of Vancouver went on a rampage though the city’s Chinatown and Little Tokyo. No one was killed, but there was considerable property damage. “The Liberal government of Wilfrid Laurier sent William Lyon Mackenzie King, the country’s first deputy minister of labour, to investigate.”Among the many individuals who submitted claims for restitution were several Chinese opium dealers, which prompted King to study the opium trade in Vancouver. “There were no laws then governing the use of opium or other drugs; and, in fact, during the 19th century, laudanum, a mixture of liquid opium and alcohol and highly addictive, was popular as a pain remedy. A year later the Canadian Government instituted the first legislation to regulate the use of medicine to protect the public in The Proprietary or Patent Medicine Act (1909). As an ingredient used in many such medicines, cannabis was regulated by this act. were incorporated in the “Act to Prohibit the Improper Use of Opium and other Drugs” in 1911. The institutional racism of the day was reflected by the segregation within the title of the act, meant to differentiate between illegal drugs used by Chinese (opium) and white users (cocaine and morphine). “While the Chinese were being blamed for bringing opium to Canada’s doorstep, it was the mighty British colonial empire that was harvesting, refining and selling the drug on a massive scale. “The British controlled vast poppy fields in South Asia — and soon discovered that making opium in India and shipping it to China made for very profitable business. “As the drug began to flood into China, wreaking havoc on the economy and society, Chinese authorities attempted to shut it down by boarding British ships and destroying opium shipments. — Drugs: What’s race got to do with it? When William Lyon Mackenzie King became Prime Minister, the scope of his legal war on drugs continued to expand with the Narcotic Drugs Act Amendment Bill in 1923. Part of the reason for this law was to combine the growing body of law dealing with illegal drugs into one. There had been no mention of cannabis in the draft legislation (although it had been appended to one of the copies) but more importantly, it wasn’t a social issue when they made it illegal. Most Canadians hadn’t even heard of the stuff (under any name). Those who had, knew of it as “marahuana,” thanks to the sensational writings of Judge Emily Murphy (of Famous Five fame). 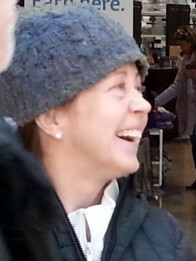 Her series of articles about illegal drug use for Macleans Magazine published under the pseudonym “Janie Canuck” formed the basis of her book “The Black Candle.” Taken as a whole, the racist dogwhistle Ms Murphy’s book was blowing warned of an international drug conspiracy to bring about the “downfall of the white race.” Several of the photographs depict addicted white women consorting with men of colour to help drive home Ms Murphy’s race war narrative. The incendiary book plied the reader with misinformation about of the dangers of “marahuana.” Although hemp was grown in Canada, there was no actual evidence supporting Ms Murphy’s imaginings, although she had no shortage of specious “expert” testimony to present. Charles A. Jones, the Chief of Police for the city, said in a recent letter that hashish, or Indian hemp, grows wild in Mexico but to raise this shrub in California constitutes a violation of the State Narcotic law. He says, “Persons’ using this narcotic, smoke the dried leaves of the plant, which has the effect of driving them completely insane. The addict loses all sense of moral responsibility. Addicts to this drug, while under its influence, are immune to pain, and could be severely injured Without having any realization of their condition. While in this condition they become raving maniacs and are liable to kill or indulge in any form of violence to other persons, using the most savage methods of cruelty without, as said before, any sense of moral responsibility. Ms Murphy’s best seller is thought by some to have influenced the decision to quietly add Cannabis to the schedule a year later. No one really knows the “why” of it. Racism was clearly a factor in Canada’s war on drugs, but the reality was that Marijuana didn’t become a social issue until long after Cannabis had been made illegal. Although criminalization led to a handful of arrests here and there, marijuana arrests never exceeded 100 annually prior to the 1960s. Some think the real reason Cannabis was added to the schedule was to eliminate the hemp industry, but something else to consider is that its inclusion in the schedule meant it could no longer be used for medicinal purposes in Canada, so pharmaceutical competition may have been the reason. The maximum penalty for possession of small quantities was six months in prison and a $1,000 fine for a first offence. Convictions for cannabis skyrocketed, from 25 convictions between 1930 and 1946, to 20 cases in 1962, to 2,300 cases in 1968, to 12,000 in 1972. The Narcotics Control Act of 1961 increased maximum penalties to 14 years to life imprisonment. The use of marijuana as a drug of addiction in Canada is fortunately not widespread. It, however, may well provide a stepping stone to addiction to heroin and here again cultivation of marijuana is prohibited except under licence. But by the mid-1960’s the recreational drug culture had become a social problem among Canadian youth. Prime Minister Pierre Trudeau’s government tasked Gerald Le Dain to look into it. LeDain’s Royal Commission of Inquiry Into The Non-Medical Use of Drugs invested four years in an exhaustive study of the issue, even going so far as to interview John Lennon in December 1969. Lennon’s testimony suggested flagrant government misinformation about the effects of marijuana led users to assume legitimate government warnings about the hazards of hard drugs were also unfounded propaganda. And indeed, the Le Dain Commission concluded that there was no scientific evidence warranting the criminalization of cannabis. When the Le Dain Commission Final Report of the Commission of Inquiry into the Non-Medical Use of Drugs was turned in, Pierre Trudeau chose to ignore its recommendations to decriminalize possession and cultivation for personal use, reduce penalties for trafficking, and decriminalize non-commercial sharing. 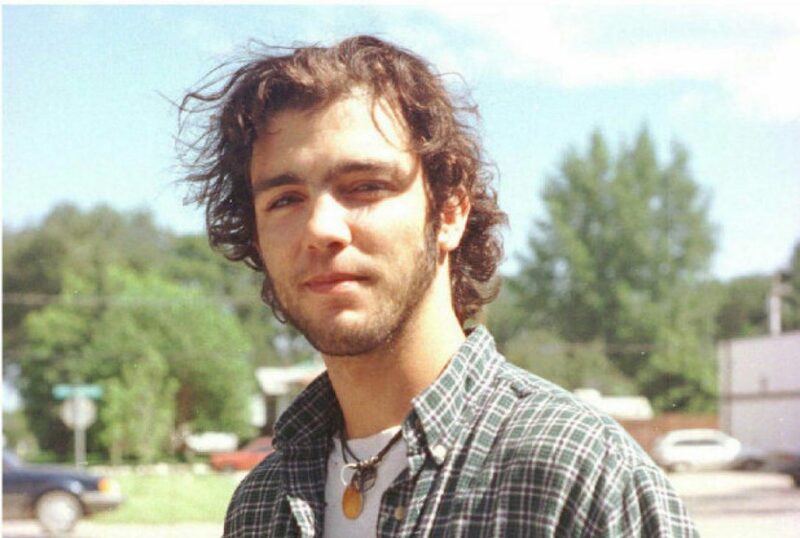 Some years later, former Prime Minister Trudeau’s youngest son Michel was charged with possession of marijuana, not long before his 1998 death in an avalanche. “…he was charged with possession. When he got back home to Montreal my Dad said, ‘Okay, don’t worry about it.’ reached out to his friends in the legal community, got the best possible lawyer, and was very confident that we were going to be able to make those charges go away. This Tuesday please join us for Cross Cultures’ Day for the Elimination of Racial Discrimination. The event is on all day, with a huge attendance of local schoolkids presenting and participating until 2:00pm, talks and lectures all afternoon, and a Peace Vigil and Peace Concert in the evening. If anyone would like to help staff our information table for a few hours, either morning or afternoon, please drop by. There’s a schedule of events on the KWPeace Calendar Pick any time, there’s always something interesting happening. 2017 SGM Policy Ratification Results Are In! I am pleased to see these nearly unanimous results on the GPC website. All policy adopted at the 2016 Special General Meeting in Calgary has been ratified. The lowest percentages were 85.1% and 86.9% … the remaining policy was approved by more than 90% of the voters. Thank you so much for participating in the democratic process. It is gratifying to see the Green Party of Canada leading the way on human rights issues for both Canadian and Palestinian indigenous peoples. You can download your own certified copy of the Simply Voting results here.